Gum disease is a serious dental health problem. And it’s not one that is exclusive to adults. Periodontal disease can happen in kids too! When it comes to keeping a healthy mouth at all stages of life, it is critical that the gums are properly cared for. After all, your gums are the foundation of your smile. Gum disease occurs when plaque is allowed to accumulate or build up along the gum line. When plaque isn’t brushed or flossed away, it can harden into tartar and irritate the gums. If not treated in a timely manner, the gums can become inflamed and even pull away from the tooth root. Deep pockets of tissues can form that harbors further bacteria and infection. At its advanced stages, gum disease is called periodontitis. Patients are at risk for deterioration of the underlying bone as well as tooth loss at this stage. If that’s not scary enough, studies have shown that untreated gum disease is associated with heart attack, diabetes, stroke and premature birth. Bleeding gums – If your gums bleed while brushing or flossing, this is often a sign that you have gum disease. Gums pulling away from teeth – Do your teeth look longer than normal? Gum disease is often marked by the gums receding or pulling away from the base of the teeth. Swollen or red gums – Are your gums puffy, tender or red? These are clear indications that your gums need attention. Pus in between teeth – While not pleasant to think about, pus between the teeth or along the gum line is a sign of infection. Bad breath – Not all bad breath is due to gum disease. However, if you notice a persistent foul breath odor despite your attempts to solve it, a gum infection could be the culprit. Change in way teeth fit together– Do your teeth feel differently when you bite down? Are your teeth separating? Do your dentures feel loose? These are warning signs that gum disease has threatened your smile foundation. 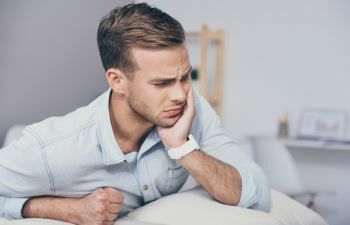 If you can identify with any of these warning signs, please schedule an appointment with a dentist right away. At Georgia Orthodontics & Children’s Dentistry, we proudly offer a variety of effective periodontal therapies for children and teens. In fact, we commonly treat early gum disease (gingivitis) in children who have braces, as the dental cleaning challenges can lead to inflammation and infection within the gums.